0 Advantage card points. 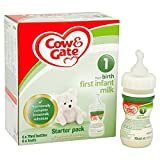 Cow & Gate 1 First Infant Milk from Newborn 200ml FREE Delivery on orders over 45 GBP. 24 Advantage card points. 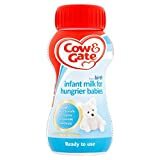 Cow & Gate first infant milk is nutritionally complete breast milk substitute suitable from birth onwards. FREE Delivery on orders over 45 GBP. 12 Advantage card points. Cow & Gate 2 Follow-On Milk from Six Months 1 Litre contains vitamin D for bone development and iron to support development. FREE Delivery on orders over 45 GBP. 0 Advantage card points. Cow & Gate 2 Follow-on Milk from 6-12 Months 200ml contains vitamin D for bone development and iron. FREE Delivery on orders over 45 GBP. 4 Advantage card points. Cow & Gate Apple, Apricot & Strawberry 100% Fruit with Vitamin C from 4-36 Months 4 x 100g contains 1/3 of daily vitamin C and is taste-tested by babies and mums. FREE Delivery on orders over 45 GBP. 0 Advantage card points. FREE Delivery on orders over 45 GBP. 0 Advantage card points. Cow & Gate Apple Blueberry Yoghurt from 7m Onwards 200g FREE Delivery on orders over 45 GBP. 0 Advantage card points. Cow & Gate Apple Crumble from 7m Onwards 200g FREE Delivery on orders over 45 GBP. 4 Advantage card points. Cow & Gate Apple & Pear 100% Fruit with Vitamin C from 4-36 Months 4 x 100g contains 1/3 of daily vitamin C and is taste tested by babies and mums. FREE Delivery on orders over 45 GBP. 4 Advantage card points. Cow & Gate Apple & Pear Fruity Dessert from 4-36 Months 4 x 100g contains 1/3 of daily vitamin C and is taste tested by babies and Mum's. FREE Delivery on orders over 45 GBP. 8 Advantage card points. FREE Delivery on orders over 45 GBP. 0 Advantage card points. Cow & Gate Apple, Pear Raspberry from 7m Onwards 200g - Feeding babies for over 100 years. FREE Delivery on orders over 45 GBP. 4 Advantage card points. Cow & Gate Banana, Apple & Mango Fruity Dessert from 4-36 Months 4 x 100g contains 1/3 of daily vitamin C and has no added sugar. FREE Delivery on orders over 45 GBP. Just add milk. Good source of iron & vitamin D. No artificial colours, flavourings or preservatives. Suitable for vegetarians. -. 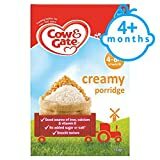 Cow And Gate Creamy Porridge 125G 4 Month Plus. -. 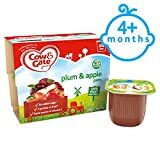 Cow & Gate Plum And Apple Fruit Pot 4X100g 4 Mth+. -. Cow And Gate Hungry Milk 200Ml Ready To Feed Liquid. -. 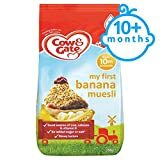 Cow And Gate My First Banana Muesli 330G 10 Mth+. -. 6 x 70ml bottles. 6 x teats. -. aloe-vera-2-u is a price comparison site, We gather and combine all the offers and deals from the UK's best known retailers into one easy-to-search website. We are not linked to any one retailer but are committed to finding the lowest prices on all the best Aloe Vera & Health brands. Read honest customer reviews for Aloe Vera & Health products. You can rest assured that our prices are accurate and all items are available to ship as we update our database every single day. Keep checking our site for discounts and bargains.